Are We Losing Our Hunger for Hybrids? 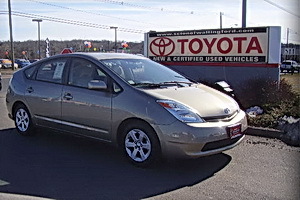 The momentary dip in gas prices has caused Americans to gravitate away from buying hybrids in droves, at least for now. I predicted that this would happen. We have very short memories in this country, and I figured we’d go back to gas-only vehicles as soon as the gas crunch subsided. But before I started calling American car buyers short sighted and overly gas-dependent, I looked at the reasons for the sluggish hybrid sales. People are still skeptical about hybrids. They’re worried they won’t hold up or that the battery packs will fail, which basically totals out a hybrid. They can also purchase gas vehicles right now that get mileage comparable to what hybrids get. And overall, hybrids cost more than their non-hybrid counterparts. Fro example, a hybrid Honda Accord costs about $3,800 more than the comparable non-hybrid version, including purchase, maintenance and insurance costs. Over five years, assuming 15,000 miles of driving per year, you’ll make up that cost in gasoline money if the price of gas goes up immediately to $9.20 a gallon and averages that for the whole period. Is the hybrid really the answer to our environmental concerns? Are all the green hybrid owners out there going to be green with envy in a couple of years when there are better, more fuel-efficient cars on the market and they can’t sell their used hybrids? Will another type of planet-friendly transportation catch the public’s attention and leave the hybrid behind on the green technology highway? Stay tuned. There will be a ton of new hybrids on car lots within the next year and we’ll see then just how hybrid-hungry we really are. whereas the prius at 45mpg would cost you $1000/yr, that’s a $5000 difference over 5 years, much more then the accord example. why use the accord as an example when it’s the worst hybrid ever made? !